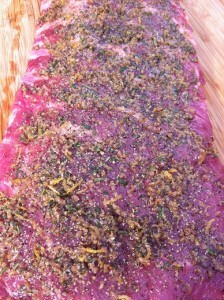 Here are three dry rubs for ribs that each transform this beautiful piece of meat in a completely different way. These are all Do It Yourself recipes. 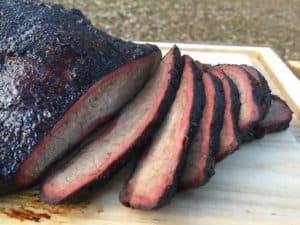 Here is a post for you if you want some spectacular commercial rib rubs instead. Keep reading and I promise you will get a few new ideas. Don’t even think about breaking out the barbecue sauce when you are making Memphis style dry ribs. 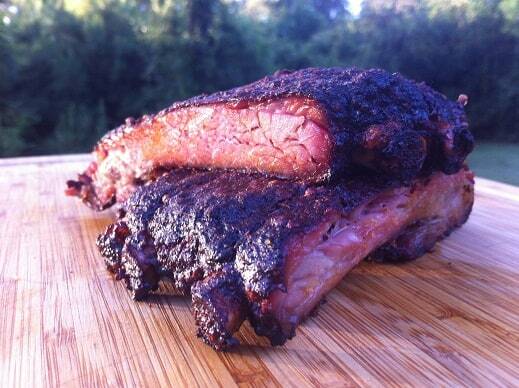 Between the smoke, pork and rub these ribs are freaking awesome! I used this rib rub with a slab of St Louis style spare ribs. 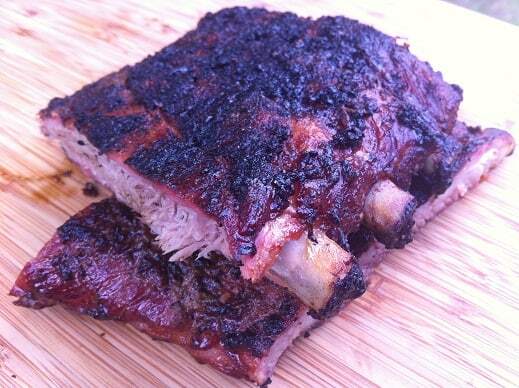 I hit the ribs with a heavy coating of the dry rub and smoked them on my Weber kettle for a little over four hours. I was running the kettle around 275F but was letting the ribs guide the cook. After the ribs had cooked for two hours and the rub had set I started mopping (1 cup of cider vinegar mixed with 1/3 cup of the Memphis rib rub). The ribs got mopped about every 20 minutes until the ribs were just about falling off the bone. What can I say? These were finger licking fantastic and a real nice change from competition style ribs. This is what I cook when my buddies come over; they love the sweetness and color on these guys. 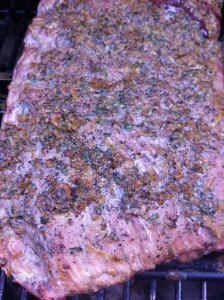 You can switch out the lemon pepper in this rib rub with anything else you like to give this your own special twist. 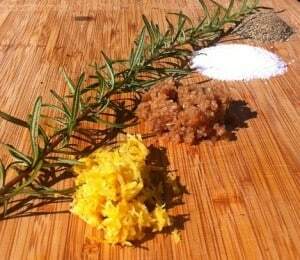 For “Other Stuff” Alton used the following for his rib rub. I am sure his combination is great but it had too many ingredients for me to want to deal with. I use this rib rub on baby back ribs and cook them in more of a Johnny Trigg style. I let the dry rub work into the ribs overnight then smoke them on my kettle for three hours. I try to run my kettle at 225F and am usually smoking with maple. After three hours I place the ribs meat side down onto a sheet of aluminum foil that has been painted with a layer of barbecue sauce (either Sweet Baby Ray or my Better Than Kraft BBQ Sauce). I will pour a few tablespoons of something sweet onto the bone side of the ribs (typically maple syrup or honey), wrap them up tight and throw them back on the pit for another hour. After an hour I take the ribs out of the foil, reserve the liquid from the pouch and put the ribs back on the pit until they are done (about another hour). If I am feeling ambitious I will skim the fat from the reserved liquids and mix them with some bbq sauce for a finishing glaze. Here is the link for a full post with lots of pictures on this technique. If completion style ribs grab your interest here is a post on Myron Mixon ribs and a few other rib masters as well. A few years back I was traveling in Italy and ate some grilled ribs that were outstanding. The ribs had a little crunch to them and had a surprising bright lemon flavor. I only applied this rib rub to the meat side of these ribs. I was going to grill these hot and fast and was using the bone side of the ribs as a bit of a heat shield. I set up my kettle with a full chimney of lit charcoal spread evenly across the charcoal grate. I placed my two GrillGrate panels in a “T” shape on the cooking grate, added the ribs (bone side down) and walked away for about half an hour. The GrillGrate panels were awesome; zero flare-ups. I swear, these are just like adding Flavorizer bars to a charcoal grill. After 30 minutes I started basting the ribs with a mix of equal parts butter and lemon juice. I would baste, wait 10 minutes, then flip and baste the other side. After about 90 minutes the meat had pulled back from the bone and a nice little char had formed on the surface. They had a great crispy crust, a nice chew on the meat and the lemon flavor was spot on. 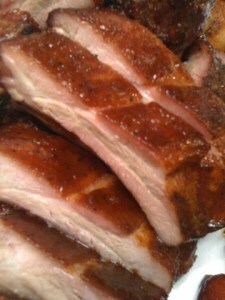 I hope you enjoyed the post and came away with at least one recipe for dry rub for ribs that you would like to try. 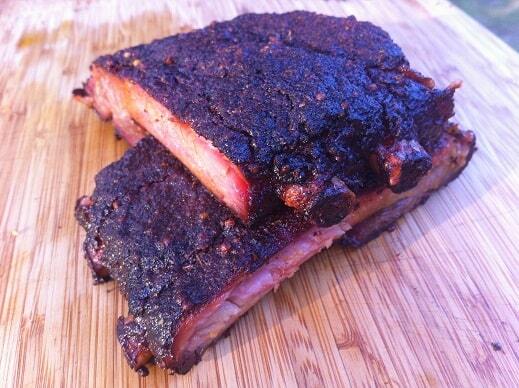 Have you got a great dry rub for ribs that you are willing to share? 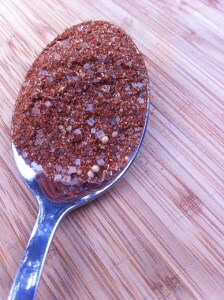 Have a favorite commercial rib rub? I would love to hear what other folks are trying! Damm, I should not have read this before dinner. 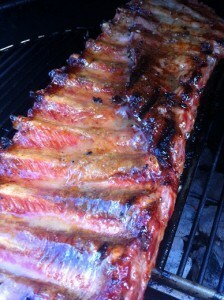 I am so hungry now and what I am about to eat is not even close to those great looking ribs. Thanks for dropping by and signing up! if you need ANY help let me know and I’ll give you a call! Thanks David! I appreciate that! Another great post David! Lots of great info in here. Love seeing new recipes and trying them out. You rock! Very awesome of you to say! Thanks for the comments!! If they want fall off the bone then you could just cook the Italian Style for longer at lower temperatures. I cooked the Italian Style hot and Fast since that is the style I found when I was over there once. The lack of sugar in the rub lets you go hot on these guys but they would also be great when taken to fall apart tender.